Below you can view all the homes for sale in the Deer Run subdivision located in Conyers Georgia. 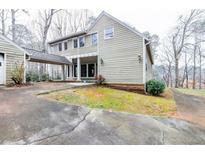 Listings in Deer Run are updated daily from data we receive from the Atlanta multiple listing service. To learn more about any of these homes or to receive custom notifications when a new property is listed for sale in Deer Run, give us a call at 404-998-4166. Walking Trails, Parks, Shopping, Dining And Entertainment In 10-20 Min. MLS#6536050. Coldwell Banker Residential Brokerage. Located In A Great Part Of Town With Great Schools! MLS#8536351. 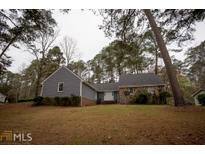 Solid Source Realty Ga.
Great Opportunity For An Owner To Customize This Home For A Mini Paradise On The Lake. MLS#6501940. Remax Legends. Have Fha Appraisal In Hand. Priced Below Appraisal. 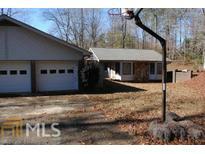 MLS#8496663. Your Home Sold Guaranteed Rlty. This Home Truly Has Something To Offer For Everyone. MLS#8459105. American Realty Pro Of Ga.